Pakistan Advertiser’s Society was inaugurated in 1996, with the aim to promote the value of advertising to consumers and the society at large and to play a role as a self-regulatory body by implementing a code of advertising practice. With a focus on developing industry standards and setting benchmarks, PAS launched the PAS Awards in 2011. This year, in the sixth year running, the society received 297 entries making it the highest number of submissions received for the awards. Sunil Gupta assisted in designing the entry form for the Brand of the Year category and was brought in to judge it as well. The Executive Director of Pakistan Advertisers’ Society, is an industry expert with more than 15 years of experience and a proven track record of setting up new ventures and regulatory policymaking. 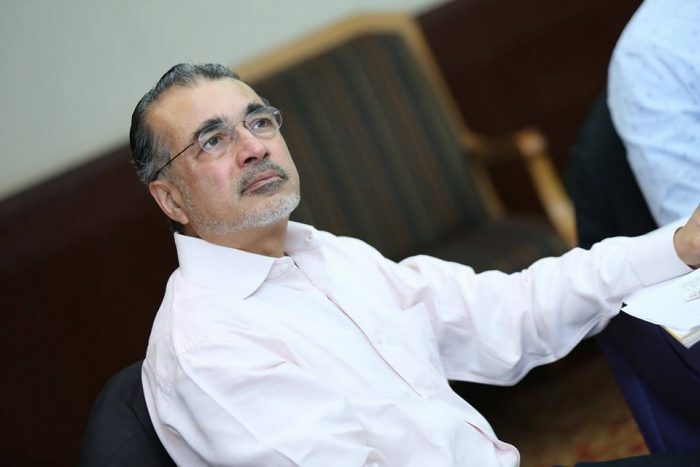 Qamar Abbas has assisted in executing milestone initiatives in Pakistan like Television Audience Measurement (TAM), Out-of-Home Measurement and ratings, Consumer Multimedia Index and the Advertising effectiveness awards. WHY ARE PAS AWARDS NECESSARY? According to Sunil Gupta, platforms like PAS Awards give recognition to the best and the most innovative campaigns and companies in the industry. This recognition helps drive an environment of constant benchmarking for all participants, driving organizations to better themselves and their promotional efforts to gain recognition from their peers for their hard work and innovation. According to Qamar Abbas, PAS Awards received 297 entries for 2016 compared to 263 entries received in 2015, which is a 12% increase compared to the previous year. He also stated that the quality of campaign submissions was improving year by year; however, stressed that companies should spend more time putting their entries together and developing their submissions. Three new award categories introduced this year are the Brand of the Year Award for brands that have shown outstanding performance in the market, overcoming obstacles while being innovative and staying focused towards continual growth; Best in PR for campaigns that have PR as a central element that are designed to get the media talking as part of their core communication strategy; and Season’s Special for campaigns that revolve around festivals like Eid, Ramadan, Christmas, Holi etc. and integrate a brand or its offering in a compelling way with the event. Since 2012, PAS Awards have had an online jury. These online jury members have access to a private portal where they can see showreels of all submissions and review the case studies the same way they would in a physical jury session. There is a general perception that campaigns with big budgets are better poised to win recognition while campaigns with smaller budgets are likely to be overlooked when it comes to platforms like PAS Awards. 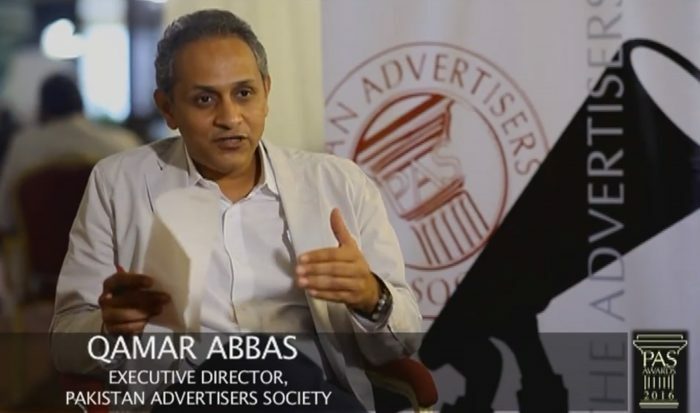 Qamar clarifies that this is not the case, stating that PAS Awards boasts a diverse jury of advertising and media professionals who look at campaigns holistically; in terms of the strategic challenge, the core idea developed to address it, the planning for execution as well as the execution itself, and finally analyzing the effectiveness of the campaign as part of their judging criteria. 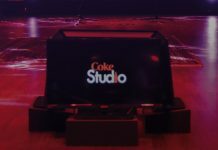 Qamar further explained that there have been instances where smaller campaigns have won against campaigns with big budgets as the selection was based on how well budgets were utilized and the impact the campaign had. Both Sunil and Qamar believe that award ceremonies are important because they develop industry standards. At their core, award ceremonies reward creative work by analyzing the originality of ideas and their impact; looking at the individual elements of each campaign submission including the central idea, how imaginatively it was executed, what kind of expenses the campaign incurred and what results it achieved; by weighing against established standards of excellence. According to Sunil, the impact of PAS Awards is self-evident, showing an evolution in the way big ideas are converted into campaigns. This change in trend and improvement in campaigns proves the effectiveness of PAS Awards as an industry benchmarking platform. Quoting the example of ad reels shown in Indian cinema back in the days when cinema was the only screen available, Sunil explained that with the advent of television, it was assumed that the ad reels would disappear, whereas they just evolved into television ads.